Welcome! 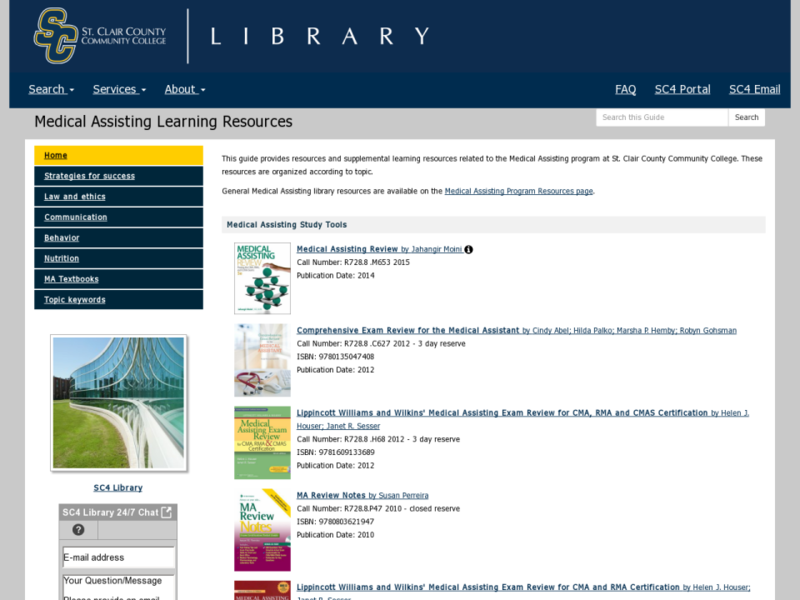 This library research guide provides an introduction to library resources related to the Medical Assisting program and courses. This guide will assist you in finding books, e-books, scholarly journal articles, streaming videos, websites, and more that will help you research topics in this subject. 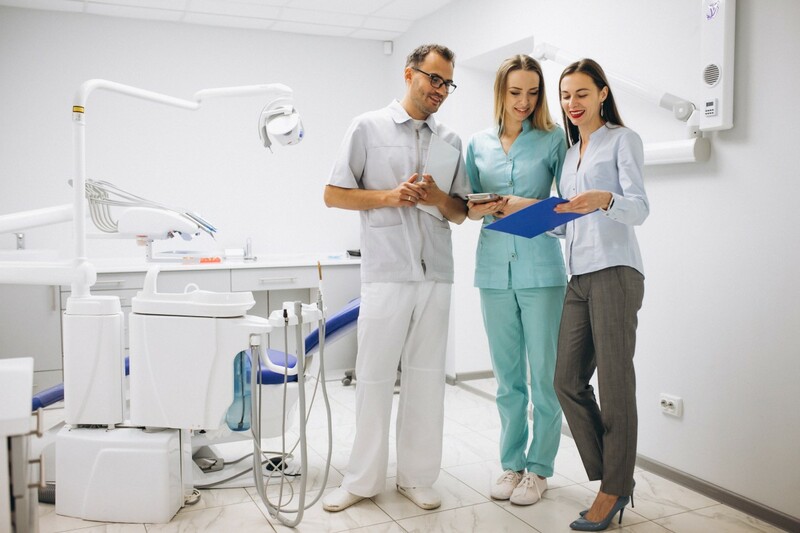 This guide provides resources and supplemental learning resources related to the Medical Assisting program at St. Clair County Community College. These resources are organized according to topic. For use in MA classes. Copy is available for in library use only. Master the content from your textbook with this helpful study tool! Corresponding to the chapters in Clinical Procedures for Medical Assistants, 9th Edition, by Kathy Bonewit-West, this study guide helps you understand and apply the material with exercises, activities, and review questions. Catching your success has never been easier, with the new 5th edition of Medical Assisting Review: Passing the CMA, RMA, and CCMA Exams, confidently master the competencies you need for certification with a user-friendly approach and a variety of practice exams. This 7 part video series by Medcom includes topics such as enforcement rules, privacy rules, transaction code sets, preventing fraud and abuse, and health insurance portability. Off-campus? Enter your SC4 Portal username and password to view these streaming videos. This is the only CPT codebook with official CPT coding rules and guidelines developed by the CPT editorial panel. The 2018 edition covers hundreds of code, guideline, and text changes. In addition to the most comprehensive updates to the CPT code set, this edition...includes notable changes to these subsections: cardiovascular system, diagnostic radiology, INR monitoring services, pathology and laboratory, respiratory system, photodynamic therapy, psychiatric collaborative care management, cognitive assessment and care plan services, proprietary laboratory analyses (PLA), upper and lower abdomen anesthesia, and vaccines. Exclusive features include colorized procedural and anatomical illustrations, inclusion of code ranges in section tabs to improve code search, clinical examples of the CPT codes for E/M services, and updated citations.